The 1965-1966 Elizabeth City State College basketball team in dress attire before heading to the CIAA tournament in Greensboro. 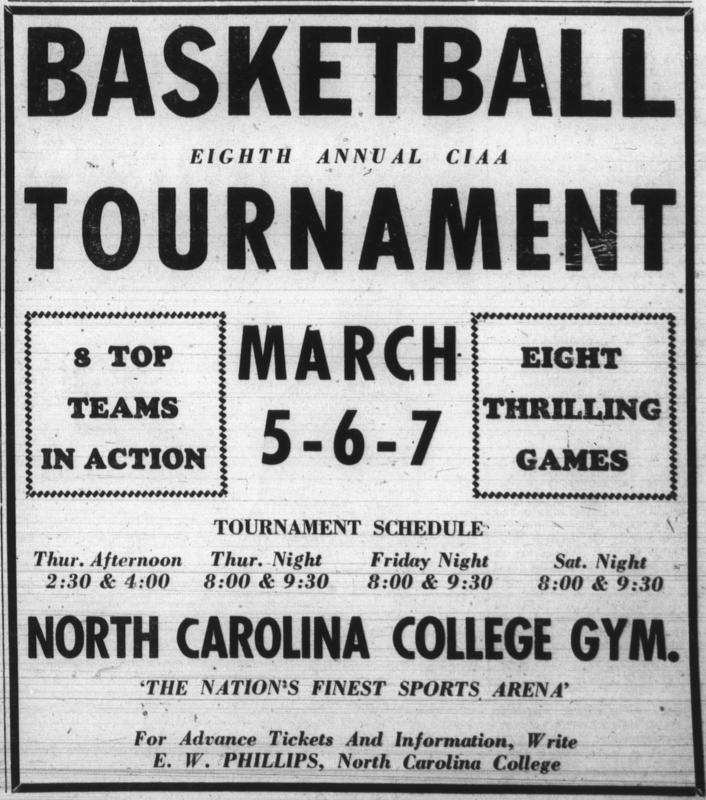 The Central Intercollegiate Athletic Association, founded in 1912, is celebrating its centennial as basketball teams from twelve member institutions and fans gather today in Charlotte to kick off the annual tournament. This article from today’s News & Observer tells the story of the CIAA basketball conference. The CIAA consists predominantly of historically black colleges and universities. Member schools past and present – including Elizabeth City State University, Chowan University (the first non-HBCU to participate in the conference), Fayetteville State University, Johnson C. Smith University, North Carolina Agricultural and Technical State University, North Carolina Central University, Saint Augustine’s College, Shaw University, and Winston-Salem State University – are well represented on DigitalNC.org, and our digital collections are rich with photographs, yearbooks, and news stories about CIAA events and athletes. Some highlights are below. Top players from the 1950 tournament, from the March 11, 1950 edition of The Carolina Times. Ad from the February 21, 1953 edition of The Carolina Times. Earl “The Pearl” Monroe and others. 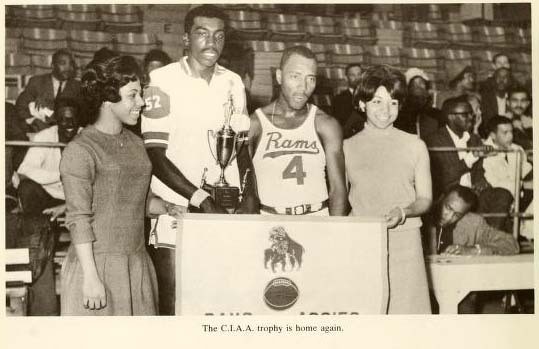 The Winston-Salem State College Rams brought home the CIAA trophy in 1967. From the 1967 volume of “Red and White”, the Winston-Salem State University student yearbook. Page from the 1958 edition of The Ayantee, North Carolina Agricultural and Technical University’s student yearbook, depicting that year’s CIAA championship team. 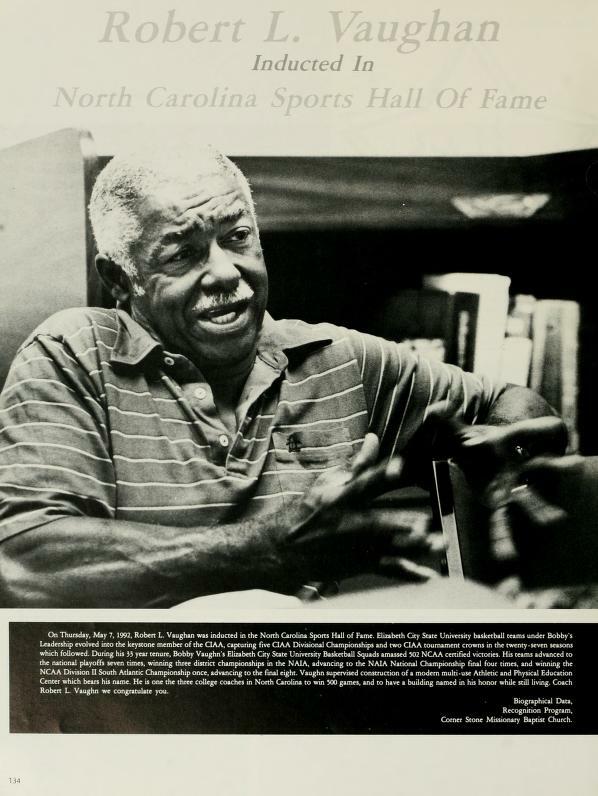 In 1992, Elizabeth City State University basketball coach Bobby Vaughan was inducted into the North Carolina Sports Hall of Fame. 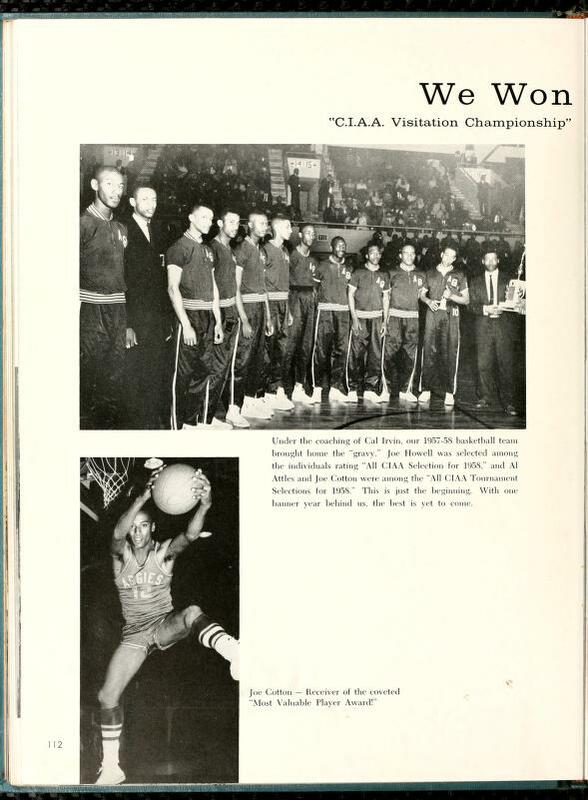 Under Vaughan’s leadership, the basketball team won five CIAA Divisional Championships and two CIAA tournaments. From the 1992 volume of “The Viking”, the Elizabeth City State University student yearbook.